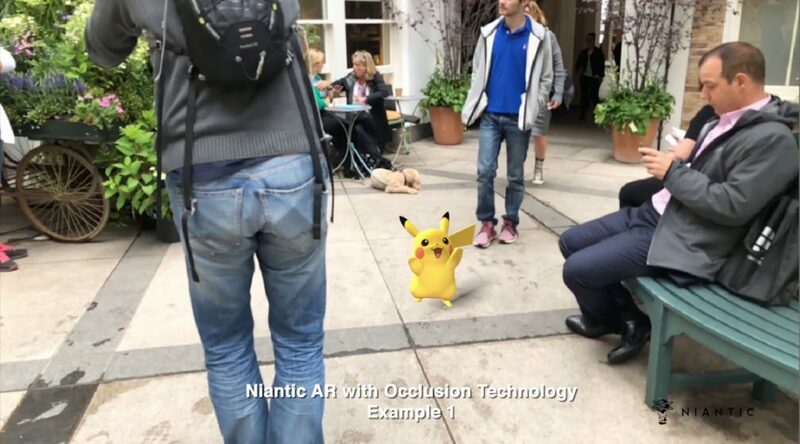 Niantic is working hard on some state of the art augmented reality (AR) technologies. One of the things they’re working on right now, dubbed Niantic Occlusion, is an improvement on the existing AR systems. The improved AR technology is able to sense the world around it, allowing it identify different structures for AR interaction. In their tech demo video below, they showed Pikachu and Eevee interacting around an environment, hiding behind people, potted plants, and other objects. It’s not clear if this tech is going to ever be used in Pokémon Go, but it’s certainly an interesting look at future AR tech.